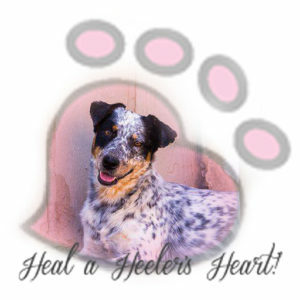 You might be familiar with this breed by one of his other common names: Australian Heeler, Blue Heeler, Queensland Heeler, or Halls Heeler. Officially, however, he’s the Australian Cattle Dog; the “heeler” moniker comes from the fact that the dogs were bred to herd cattle by nipping at their heels. The Australian Cattle Dog is a high-energy working dog. He is not a couch potato — we repeat: he is not a couch potato. He wants to be active and busy most of the time. His energy must be directed, or he’ll become bored and will resort to entertaining himself, usually by doing something you consider naughty. The Australian Cattle Dog is also highly devoted to his owner and family. He usually attaches himself closely to one person and bonds less closely with others. He’s often called a “Velcro” dog because he attaches so firmly; he likes to be in close physical contact with his chosen person all the time. Another part of the breed’s instinct is his strong prey drive. He’s fascinated by squirrels, cats, and other small animals. If the Australian Cattle Dog is raised from puppyhood with other pets, including cats, he can be trusted to live peacefully with them in his home. He’s likely to consider those outside his household to be fair game, though. There is a toughness about the Australian Cattle Dog — he had to be tough to handle the high temperatures, rough terrain, and long distances involved in his job on ranches — that makes him both highly tolerant of pain and intensely focused. He’ll keep working even when he’s injured. Owners must pay careful attention to this breed to make sure he stops working or competing if he gets hurt. Catahoula Mama Had 15 Puppies!